The following is an essay by the Rev. Dr. James D. McLeod, Jr. He traces the the history of the opioid epidemic, paying particular attention to its damaging effects in the Appalachian and coal mining regions of the U.S. McLeod troubles the ways in which the U.S. typically responds to the high-profile, opioid related deaths of celebrities, and our much quieter and toothless response to thousands and thousands who die unnoticed everyday throughout the country from similar addictions to pills and heroin. You can also enjoy his weekly published sermons on his website. His full bio is below. In 2014 and 2016, in seemingly quick succession, the world of entertainment lost two of its largest stars to the devastating disease of addiction. Phillip Seymour Hoffman, an unbelievably talented actor, who could play roles from laugh out loud funny (Along Came Polly and Punch Drunk Love) to heart-wrenching (Capote and Doubt), was found dead in the bathroom of his Manhattan Apartment, heroin on the nightstand and a needle sticking out of his arm. Seymour had passed on just as his Hollywood star was reaching its highest heights. The final cause of death was listed as an overdose of a cocktail of legal prescription medications, as well as cocaine, heroin, and amphetamines. When news of his death was announced, I had, quite unintentionally, just finished watching The Master, a movie where he played an L. Ron Hubbard-type character leading a cult of followers towards belief in a new religion. Hoffman’s death, though tragic, had to have been at least a little unsurprising. For folks who knew him, it was not a great secret that he had battled with the demons of addiction for some time. While there was the belief amongst those closest to him that he had those struggles under control, it became clear that he did not. Addiction, when it is out in the open, can bring a great deal of unwanted criticism along with the knowledge that everyone just knows. Addiction, when it exists primarily in the luminance, is all the more devastating. Light, at a minimum, provides fewer places to engage in one’s addiction. Whether that light is the neon lights of a half-lit Budweiser sign at closing time or the Klieg lights of a movie set, its very presence represents some degree of reprieve from the illness. In the dark, nothing can be seen and even less can be known. The addict is in the greatest degree of danger simply from going home in the evening. In 2016, it was the music world’s turn to say goodbye to one of it’s most prolific and talented members with the death of the artist (formerly known as) Prince. The shadow that Prince cast across the history of pop, rock, R & B, and new age music is unlikely to be eclipsed by anyone else in the history of musical artistry. His death, too, was brought on by addiction to opioids, while overdosing on fentanyl, a medication for the treatment of pain. It is also sold on the street and often combined with cocaine or heroin to magnify its effect on the user. Prince was 57. Being of a certain age, I remember much of Prince’s music through the 1980s and early 90s. His song, “1999,” being one of those markers in one’s childhood in which a vision is cast to the turn of the millennia, prompting listeners to imagine how old they would be when that happens. I was still a bit young when Purple Rain was in theaters, though the music for the movie was in the bloodstream of much of the decade following its release (and I think that my roommate in college, an avowed lover of all things 1980s-related had that soundtrack playing on repeat in our apartment). The genius of Prince came not solely in his music, though he seemed to be constantly on the cutting edge of whatever would come next, but on his incorporation of music with other forms of art and fashion. If you saw him on a red carpet, you could rest assured that whatever he was wearing was going to be memorable. With all the trappings that followed the image and experience of Prince, what is often forgotten about him is that he was a killer guitarist who, in my mind, ranks up there with the greatest of all time. When he died, I sent my father a text saying something along the lines of, “With Prince rightly being honored for the way in which he pushed the envelope on everything, when you see something like this, you realize he might well have been the best guitarist of all time, as well.” With the text, I sent a link of Prince playing the Beatles’ hit “While My Guitar Gently Weeps,” with Tom Petty, Jeff Lynne, Steve Winwood, and Dhani Harrison at a tribute to the late George Harrison. Prince closes out the performance with 3 minutes or so of tearing-the-house-down guitar riffs that will leave your jaw planted firmly on the floor. With his death, there was a loss to the musical world that is equal to that of the acting world with the loss of Philip Seymour Hoffman. It is unfortunate that far too often the world of entertainment includes the specter of overdose with some of its most luminous stars, Janis Joplin, Jimi Hendrix, Keith Moon, John Bonham, in music, and, in film, actors including John Belushi, Chris Farley, River Phoenix, and Judy Garland, to name a few. Each time this happens, the nation goes through the same sort of macabre machinations of tributes, pained expressions of loss, and a momentary focus on the one who has passed. At the same time, the spotlight is turned on addiction, writ large. In contemporary times, there are hotline numbers that one can call for help getting treatment, long think pieces about the scourge of addiction, and renewed reassurances for those who suffer from substance dependence that “someone cares.” This is quickly followed by a return to normalcy and the belief that we, as a nation, have done our due diligence to ensure that this same scene isn’t repeated again, even knowing that it will again and again. This occurs because, in all honesty, we, as a society, don’t really care about the addicted in our midst. Our words and rituals of concern that we are quick to practice and say in the midst of individual loss belie the fact that we have allowed whole regions of the country to be eviscerated by the enslavement the poor and marginalized experience with (primarily) the use and abuse of opioids. Opioid based medications are a derivative of the ancient and widely used poppy flower and its associative drug, opium. While its origin is unknown, the use of opium has been noted historically in Asia Minor, Europe, and Northern Africa. By the middle of the 18th century, the East India Trading Company (who, for awhile had a monopoly on trading in that part of the world) was exchanging opium alongside Indian and Chinese tea. By the last part of the 18th century, greater availability of opium through its trade combined with the insatiable desire that its users developed because of its powerfully addictive properties made it one of the most powerful substances in the world. In the 19th century, the British Empire, already possessing a strong foothold in colonial Asia, went to war twice with China over the production rights of opium. It, along with its derivative, heroin, would begin to appear in pharmacies throughout the western world, believed to be a pathway to the maintenance of perfect health. It was not until the late 1800s that the deleterious nature of the drug (and addiction in general) began to be realized within the larger cities with known opium dens. This knowledge, along with a healthy dose of anti-Chinese sentiment felt by the community in San Francisco, led its municipal government to begin the process of making its use illegal while cleaning out the parlors and dens in Chinese neighborhoods. While its derivative medicinal uses were allowed to be employed within the proper prescription, recreational use of opiates was now illegal. Much of the U.S. would spend the early part of the 20th century following suit. The drug was simply too powerful to be used in such a reckless manner. Fast-forwarding to the present, the sheer force of the addictive nature of opiates has served to completely decimate whole (mostly rural) regions of the country. The growing nature of societal dependence on some form of the drug is great enough, now, to be seen as a national epidemic felt in every quarter of society. This scourge, by and large, commenced in a part of the country that has been utterly forgotten by public policy and private sentiment. In short, we, as a nation, don’t really care that much about people from rural Appalachia and the struggles that have made up, in general, the sum total of their existence and, acutely, this most recent and devastating addiction that has torn their communities apart. As with most societal issues, the relationship between economic struggles and every other cultural ill is clear when it comes to the struggles that some regions of the country have with opioids. Long before it became a national concern, addiction to, first, OxyContin, and, then, heroin erupted in the sleepy mountain towns that dot coal country in Virginia and West Virginia. 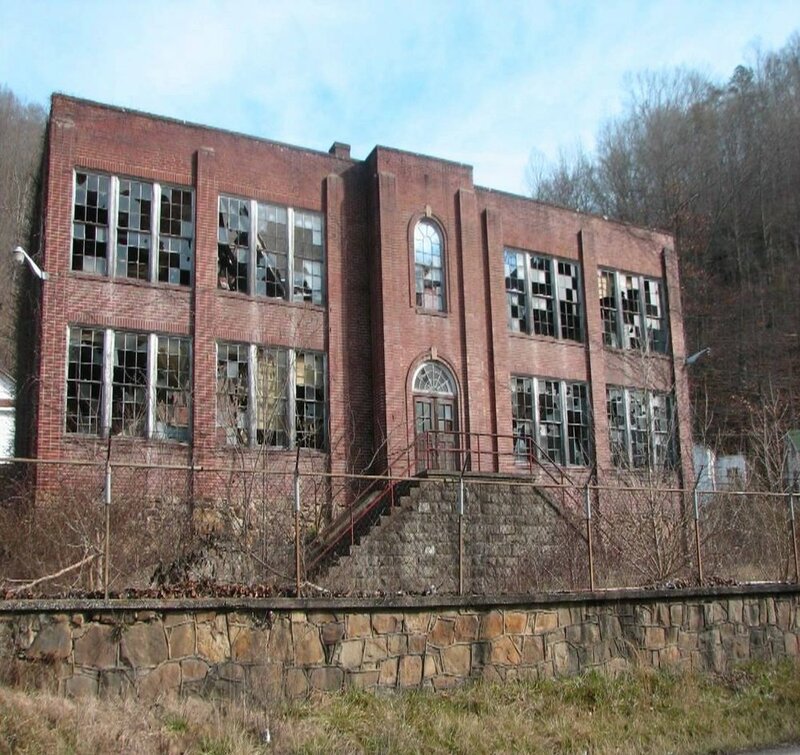 As the United States’ dependence on coal as a primary source of fuel for the generation of electricity waned and gave way to cleaner methodologies, the miners and mining families, who for generations had fed, clothed, and kept a roof over the heads of their families, were left to find new employment. Layoffs, mine closings, and the greater attention to mine safety left many in these mining communities impoverished and unsure how to change this condition. Like the rural areas of the country that had experienced plant and factory closings, these rustic mountain towns soon found themselves denuded of any value they had possessed for the larger society. Absent a concern about the value possessed by the bodies and lives of miners, at least, by mine owners, these small communities soon found themselves with progressively crumbling infrastructure, schools, and opportunities for living a meaningful and dignified life. As opposed to the urban poor, who live into a reality that is difficult for most folks living in large cities to avoid, these rural, poor folks are locked away in the hollers of Appalachia, an hour from the nearest Walmart, meaning that the rest of the country can safely ignore the problems faced by these locales. It was in these spaces that an insidious disease was about to be birthed—an illness from which there are few cures and even fewer chances to experience anything that would be considered a good life. It’s in the picturesque stretches of the Appalachian Mountain range, a place with so much naturally occurring beauty that you would swear that God crafted it with her own hands, that the hidden and dark side of the world of coal mining is on full display. While we have long known about (and ignored) chronic health issues like black lung that come from spending decades of time under the earth and breathing in the dust that rises up from the digging of coal, the progressively detrimental effects on the health of those whose whole life is centered around backbreaking labor has not garnered nearly enough attention. So it is that when former mine workers sought to gain relief from their pain, in a similar manner as those who heralded the use of opium and heroin for the maintenance of heath, the miners (and their doctors) turned to the opioid painkiller, OxyContin. OxyContin, the brandname for oxycodone, a medication originally formulated to alleviate pain for 4-6 hours, would work continuously for up to 12 hours with each dose. This was seen as a miracle for those who had spent years or decades engaging in the brutal work of digging and removing coal from out of the ground. Sold by Purdue Pharmaceuticals, OxyContin was introduced to the market in 1996. As Beth Macy, author of Dopesick notes, this came at the same time that medical providers began to think about pain as being a fifth vital sign. This advancement in the observation and treatment of pain ushered in a new age and aim for medicinal solutions to the misery of those who sought alleviation. Originally marketed for the palliative treatment of suffering from end-stage cancers, OxyContin soon became the pharmaceutical of choice for those who suffered from all kinds of chronic pain conditions. It was seen as a drug with the perfect combination of strong relief and minimal addiction. Purdue advertised that it had an addiction rate of “less than 1 percent.” Two decades later, it’s safe to say that an addicted nation can confirm that this claim was complete and utter nonsense. Further, it will come as little surprise that every indication suggests that Purdue knew this to be the case from the start. What began as a substance so addictive that nations would go to war over it and persons would shut themselves into dens dedicated to its use, was now the primary tool for combating the suffering of a nation. And the money came in in stacks. Meanwhile, back in rural Appalachia, this was just the beginning of the decimation that would take place in the hamlets and hollers of Western Virginia, West Virginia, Kentucky, and Tennessee. The combination of physical pain with the bleak nature of living in a place where hope had caught the last train out of town with the final coal mines closing their doors made the environment ideal for the growth of addiction to a medicine that would both take away the pain of a broken body and the hopelessness of a life without hope. Scripture tells us that without a vision, the people will perish. The residents of Warren County, VA, and McDowell County, WV, can testify to the truth of this statement. What started as treatment to legitimate medical issues from chronic or acute pain soon morphed into a very different practice for members of these rural communities. Persons seeking to maintain the high provided by opiate based medicines learned (and would train others) to mimic the signs of having kidney stones or being down on one’s back. Friends and neighbors would advise one another on which doctor was the easiest to scam and had the biggest penchant for writing OxyContin prescriptions. The effects of opiates in these tiny communities were unifying but the unification only ensured that all the families in any given area would share in the heartache of watching friends, relatives, sons, daughters, and themselves overdose on these drugs again and again and again. The opioid industry also formed the foundations for a new system of economics that both relied on the continued use of OxyContin—an issue that some doctors in these counties were more than happy to address—and maintaining a growing market of new users to take the place of those who would pass on from overdoses and generally poor health. The illicit trade of OxyContin incorporated a combination of money and other forms of goods and services from government issued food stamps to sexual servitude and for many, many years, Purdue Pharmaceuticals was willing to provide the underlying substance provided that medicaid was willing to play its part in the system. In return, they made writing prescriptions for OxyContin well worth it for the doctors who chose to prescribe it. Between 1996 and 2001, Purdue Pharmaceuticals conducted 40 continuing education seminars (all expenses paid) in Florida, Arizona, and California for doctors to learn how to best prescribe and offer their medication. They also recruited a large team of drug reps who fanned out throughout the country and were incentivized to push the sale of as much OxyContin as they could. This was in the heyday of pharmaceutical companies spending astronomical amounts of money on direct-to-doctor marketing. Far beyond pens and wall clocks and meals, reps would routinely roll into physicians’ offices bearing larger ticket items, including spa certificates, mani-pedis, and other experiences designed to convince medical practitioners to prescribe their drug to as many of their patients as was possible. By 2000, these companies were spending $4.04 billion on these practices. Moreover, at Purdue Pharmaceuticals, competitions across the company brought bonuses that commonly amounted to anywhere from $15,000 to $240,000 a year per rep. The regional differences for prescribers were stark. In a study sponsored by the Charleston Gazette-Mail earlier this year, it was found that in a single county in West Virginia, with a population of 2,900 people, just shy of 21 million doses of painkillers (Oxycodone and Hydrocodone) were prescribed and shipped in between 2006 and 2016. This number represents the amount of pills doled out by two pharmacies within the whole county. In addition, 40% of the prescriptions written to these pharmacies came from a single doctor in Virginia. Over that decade, a monster was released into the community of Williamson and it has yet to be slain. While there have not been studies to back it up, it is a fair assumption that such practices (though, perhaps not to the same extent) could be found in other rural counties in Appalachia in a manner that hooked some, made drug dealers out of others, and crushed every member of every community in the region along the way. In the world of addiction, of which we are gaining a much better understanding with each passing year, the slide from the abuse of more expensive legal medications to cheaper illegal drugs is an easy one to make. In the early 2000s, with OxyContin having already destroyed much of the fabric of rural Appalachia and beginning its migration into the homes of small towns and major metropolitan areas alike, the opiate drugs’ far more illicit cousin was beginning its ascendancy in those same places. The rise of heroin as the drug of choice for the rural poor came about in the midst of a perfect storm. These communities, still forgotten about by the mass of people (and politicians) in the country, remained torn apart by addiction. At the same time, drug dealers from New York and Baltimore, who had to hustle to avoid law enforcement in these larger cities with drug task forces (think David Simon’s The Wire), found the slow nature of people and the police in rural America much more to their liking. While cops in Baltimore could potentially kick in your door at any time, Andy Taylor and Barney Fife were far less likely to spend their limited time and resources going after small-town dealers. (This would change in the decade that followed, but, at least at the beginning, the police had little awareness of the new guy in town selling black tar heroin out of the back of his car.) Further, because there was already a market that had been created by the abuse of legal opioids, heroin dealers could follow that same path and cut the faked ER visit out of the picture completely. So it is that heroin became the drug fiend’s new obsession and the folks in Appalachia would do anything they could in order to get it. In the decade or so since the mass introduction of heroin to small towns, addiction to opiates has sky-rocketed. What began in those former mining towns has spread throughout the whole of the country and few, if any, locales are safe from the grip that they place on communities. In the same manner that crack cocaine decimated the already poorer areas of urban American in the 1980s and early 1990s, heroin has done the same for virtually everywhere. Anecdotally, in the last town I lived in, three young adults from prominent families had died in the previous couple of years before I got there from overdosing on opioids. By any measure, the ravages unleashed by opiate addiction constitutes a crisis within the country, as a whole, and in impoverished, rural America, in particular. Because these places don’t have any kind of celebrity status (neither Prince, nor Phillip Seymour Hoffman were from Lee County, Virginia), it is often difficult for most of us in the United States to gather a great deal of compassion for these nameless, faceless mothers and fathers, sisters and brothers. And yet, with each passing day, the disease of addiction draws closer to each one of our doors if it hasn’t yet walked in. Knowing this, we would be foolish to think that just waiting for that knock is the best course of action. We have to start caring. On October 26, 2017, President Donald Trump, flanked by families of drug overdose victims, stood in the East Room of the White House and declared the opioid crisis to be a “public health emergency.” This marked the first time that a United States president stood before the nation to address the scourge of opioid addiction in such a declarative fashion. President Trump, regardless of his larger intentions, should, no doubt, be commended for being willing to take such a position in the midst of almost 60,000 Americans losing their lives to opiate abuse in 2016. That being said, the proposals (or lack thereof) that followed the declaration fell into the same dangerous thinking that has allowed issues of chemical dependence to dwell in the shadows of our society for the past four decades. The administration’s proposals failed in two major ways. As noted in the October 26, 2017, coverage by the New York Times, the response by Andrew Kolodny, the co-director of opioid policy research at the Heller School for Social Policy and Management at Brandeis University, lifted these issues. He argues that the administration’s actions do not begin to address the financial shortcomings of current efforts to combat addiction. Kolody believes that the response must come in the form of requisitions from congress for billions of dollars to be directed towards research and treatment of specifically opioid abuse. Over the past two decades, our understandings about the nature of addiction and the best way to treat it has far outpaced the ability to disseminate that knowledge to the various agencies whose job it is to address these issues. Even in the highest levels of the federal government, there remains an antiquated belief about chemical dependence that one need only tell oneself to not use or to stop using and it will be so. This is reflected in the comments President Trump offered at the event, when he said, “This was an idea that I had, where if we can teach young people not to take drugs…it’s really, really easy not to take them.” To accomplish this, President Trump suggested that the government create “really tough, really big, really great advertising.” This type of language and understanding harkens back to the time of Nancy Reagan and the push for the young to “Just Say No.” Again, this effort was admirable at the time but failed to grasp the complexities of addiction—especially opiate addiction which literally alters the brain chemistry of the long-term user. There is a new paradigm called for in which we move past the days of victim-blaming and underserving those who are in the throes of this condition. We need a new plan. In the 2017 fiscal year, the total budget for the federal government of the United States was $4.147 trillion (with a GDP of just north of $19 trillion). When I see dollar amounts like that, it is tempting to believe that the country has all the money it could ever need. The reality is, of course, much more complex. In any budget negotiations within the federal legislature, various people, groups, and special interests jostle for maximum funding. In turn, the 4 trillion number gets split amongst an equally immense number of agencies, from those tasked with assisting impoverished pregnant women to get the nutrition they need for a healthy pregnancy to the ones who seek to ensure clean air and drinking water. Unfortunately, there is not particularly strong representation for “Big Addiction,” and in any budget process that has taken place in the history of our country, one of the first things to always be cut is support for mental health services. Thus, any endeavor to address the issue of opioid abuse must begin with a shift in the way that we consider our effort towards that goal. Just as dying towns in the Midwest and South are in desperate need of an influx of cash to rebuild crumbling facades and infrastructure, so, too are addiction clinics and rehabilitation centers (the ones that don’t charge $90,000/month for a private room). One of the chief criticisms of the way in which the administration sought to name and address the opioid crisis in the country was the way in which it declared it a public health emergency while falling short of naming it a “national emergency,” which would have triggered additional monies to be spent addressing it. Simultaneously, the administration, to date, has requisitioned no additional or new funds to be put towards addressing the issue. As a nation, we simply must be willing to put our money where our mouth is. The second area we must address, as a nation, is the manner in which we think about those who struggle with addiction issues. In our culture, both in the way we speak and in our artistic renderings, too often, we think about these collective of persons in a bifurcated way. Either, they are some amalgamation of Otis Campbell, the town drunk from the Andy Griffith Show, locking himself in the jail at night so that he can sober up by the morning, and Barney Gumble on The Simpsons, holding down the bar at Moe’s Tavern every night. Each caricature provides a measure of comedic relief over the course of a 20 minute episode. On the other hand, we think about the stereotypical junkie that approaches you on the corner asking for “whatever you got on you” before wishing for God to bless you as you walk away. In our minds, far too often, the totality of the life and worth of these folks is found in their chemical dependence. We feel sorry for them, to a point, but really we believe that they have made a series of poor choices and they themselves have wrecked their lives on their own. The reality of the situation is far more complex. This series is intended to shine a light on forgotten or oppressed communities of persons in order to critique the systemic conditions that they face. It is not to publicly shame or demean any other person or group. That being said, with greater awareness of the plight of some comes the responsibility of the many to work to address the systems that continue to create the conditions by which folks suffer. We, as a society, must figure out a way to move beyond offering bandages to folks who are hurt to a place where we, collectively, ask why are they bleeding in the first place. We, in the United States, live in a democratic republic. We choose our leaders and then we expect that they will represent the will of the masses. Throughout the country, over the course of the last decade, many have found their voices (on all sides of the political divide) to channel disappointment and outrage into protest against systems believed to be unjust, communication in a myriad of forms between constituent and leader, and organization of voices in order to better be heard. Today, the forgotten folks of Appalachia, the rural South, the formerly industrial midwest, need a greater voice to speak for them just as the addicted across the country need folks to move beyond sympathy and towards honest-to-God care and concern. Without a dramatic shift in the way in which we view the other in our midst, this disease, not unlike the flu, or AIDS, or Ebola, will continue to devastate the lives of many, some of whom will be our loved ones. It’s time to raise our voices. Together.